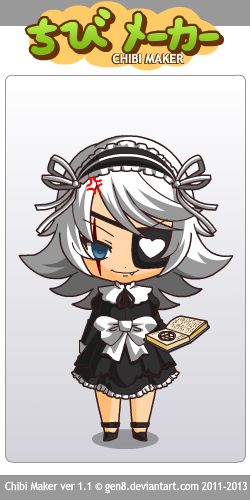 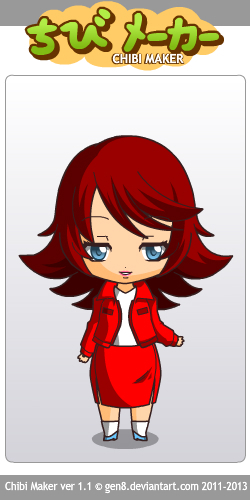 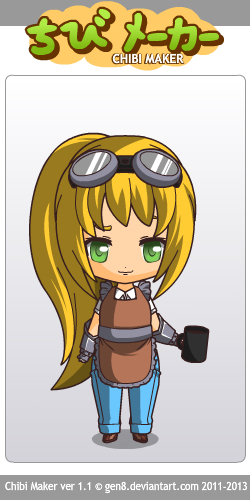 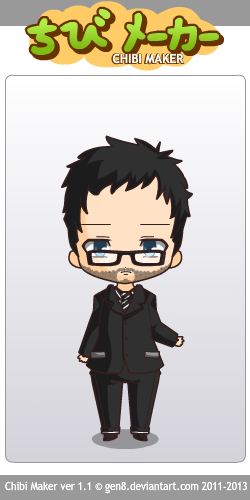 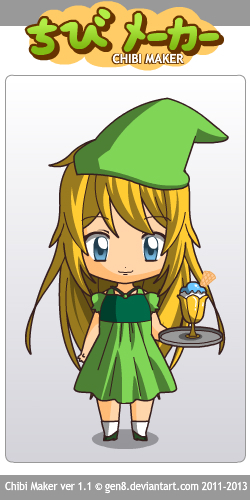 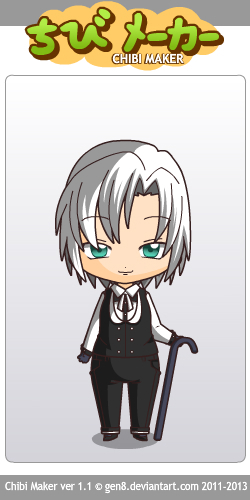 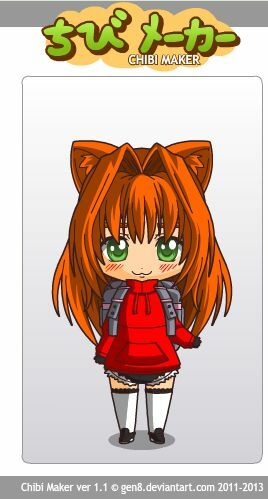 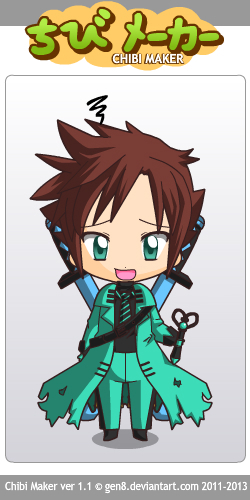 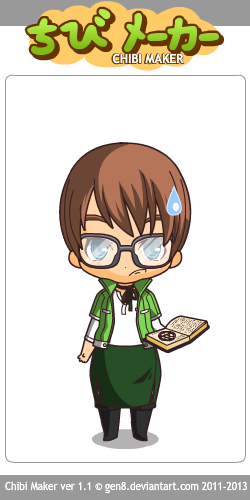 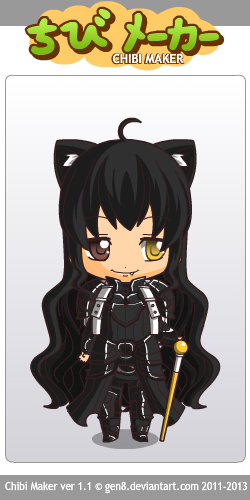 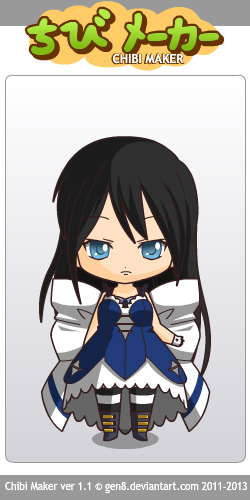 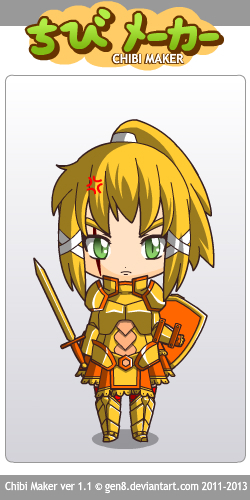 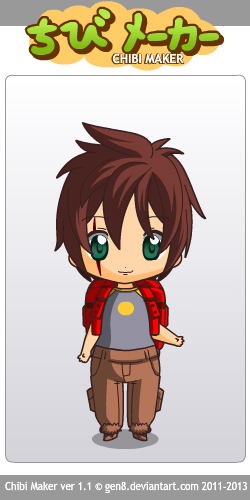 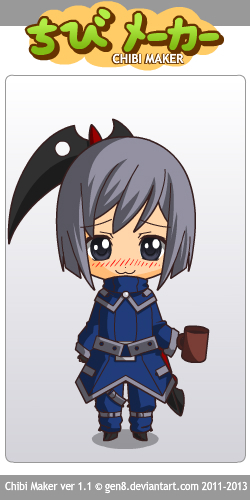 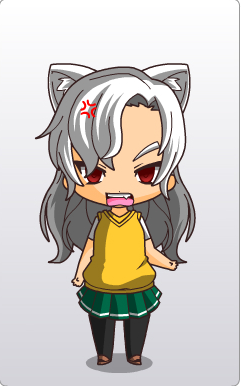 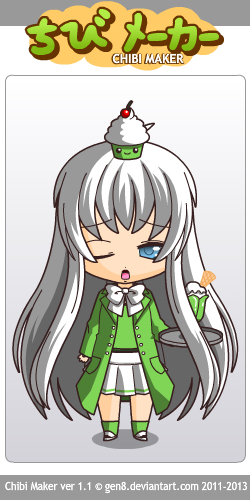 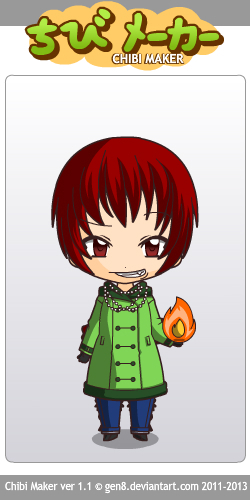 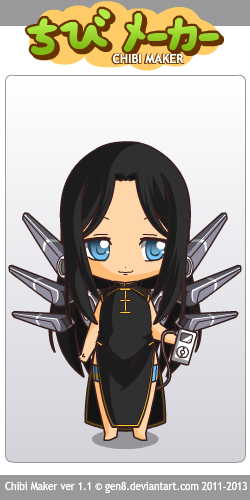 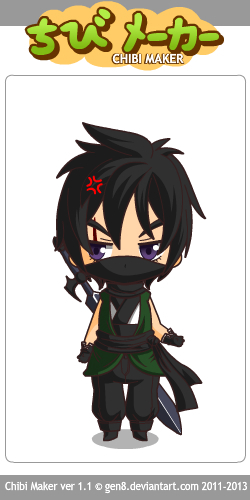 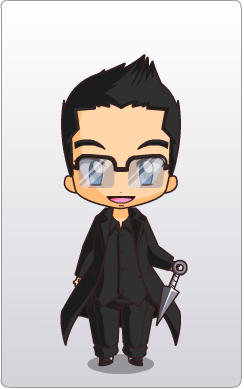 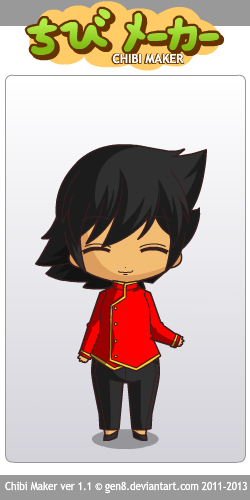 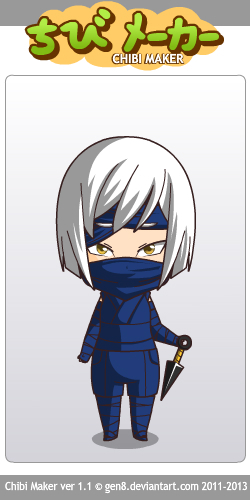 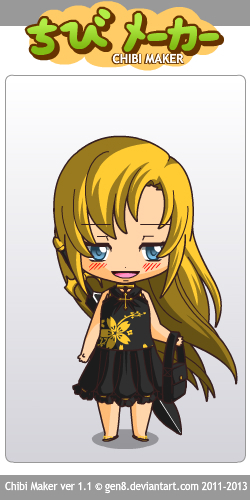 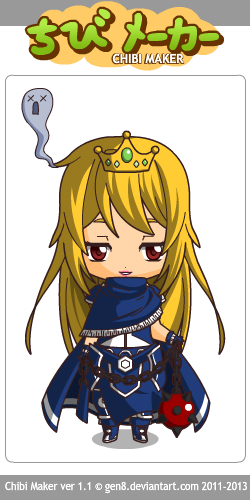 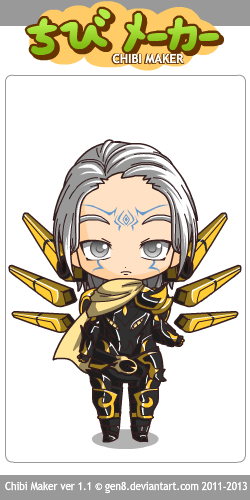 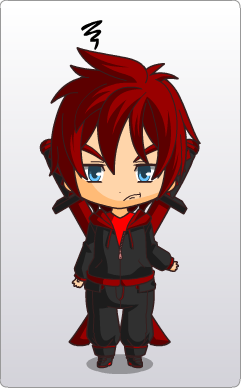 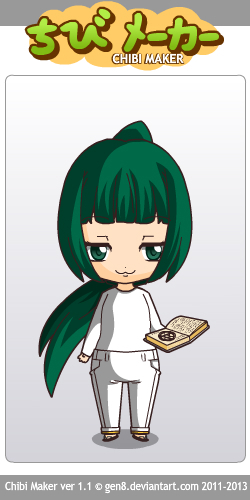 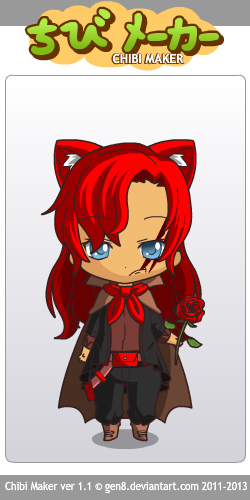 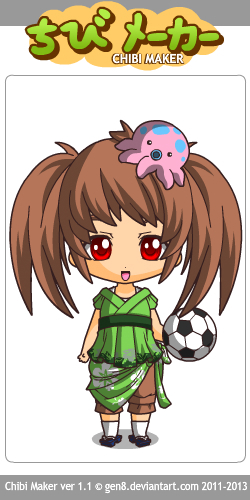 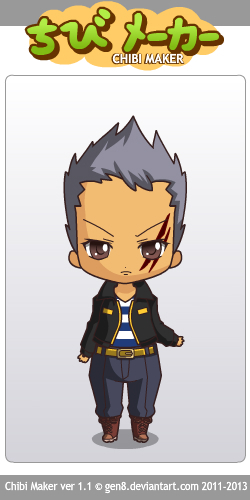 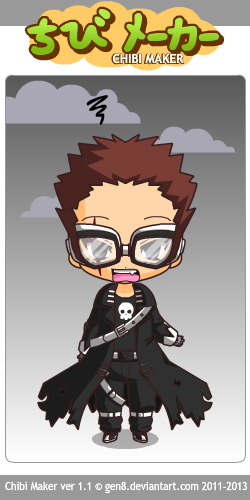 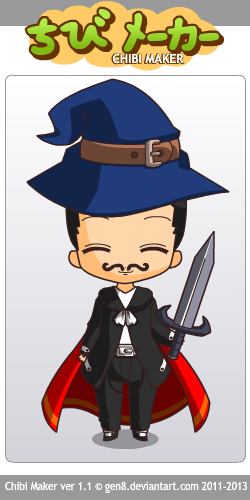 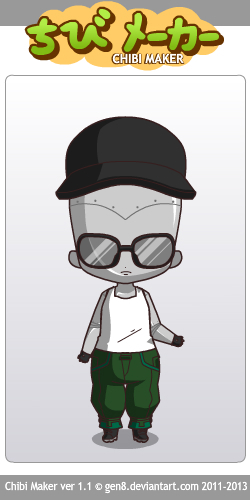 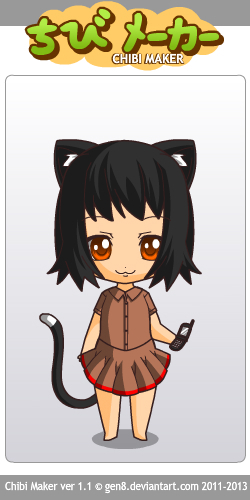 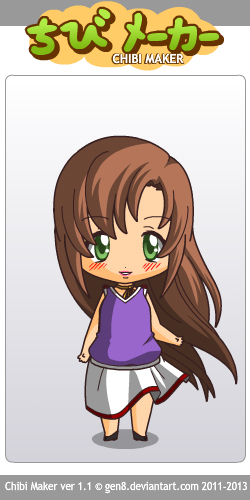 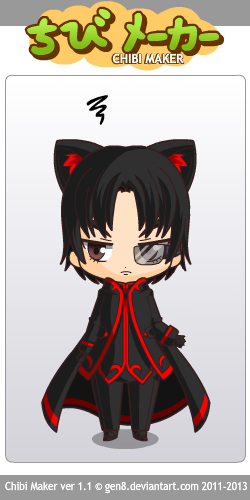 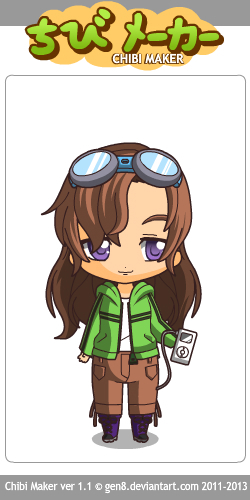 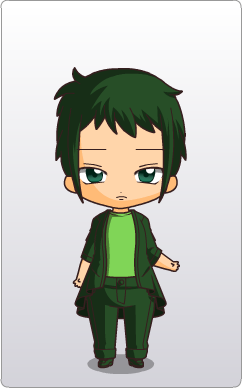 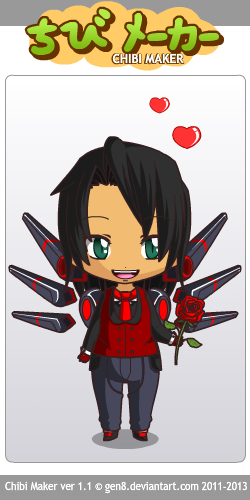 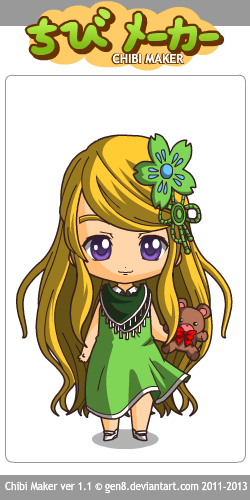 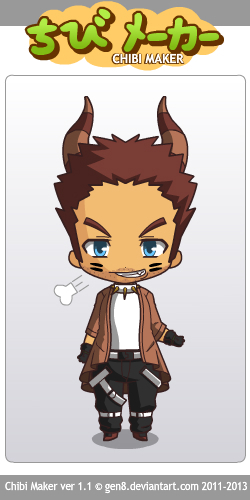 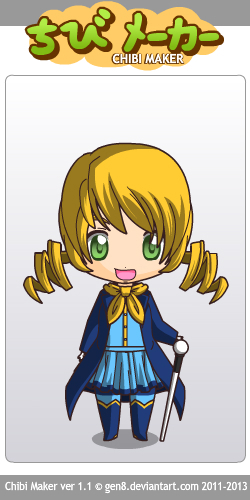 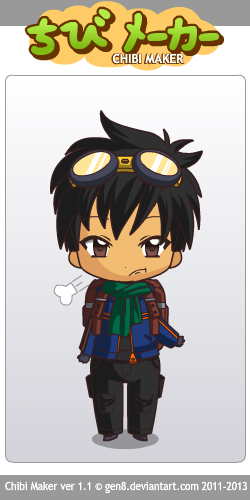 Yo just a thread to post your OC's made in Chibimaker! 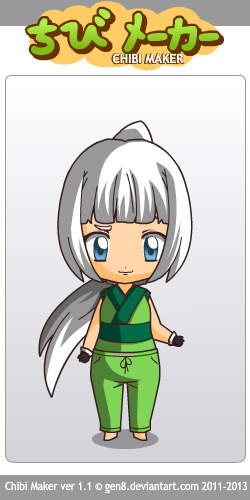 I've been telling you all Lí looks feminine. 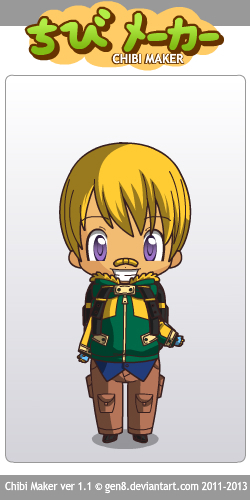 Couldn't find a vest that really suited him, so I just went with the next best thing. 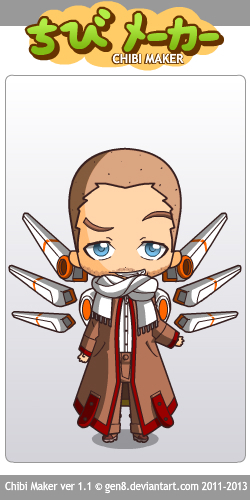 The awesome coat. 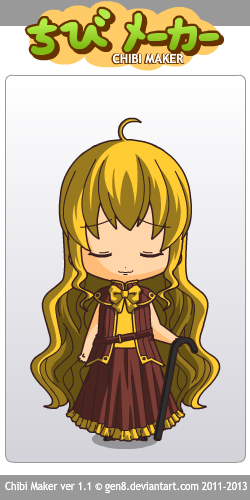 Isabelle. 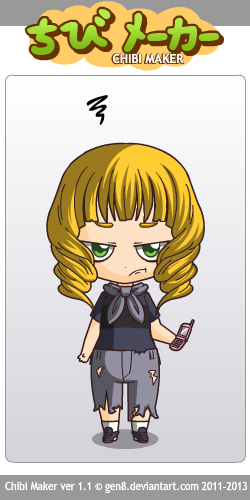 Un-amused. 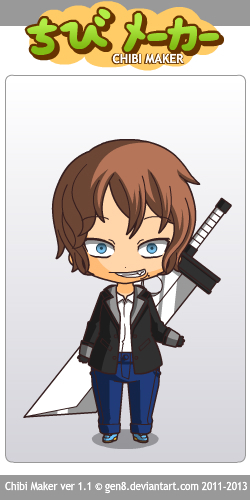 Cassidy. 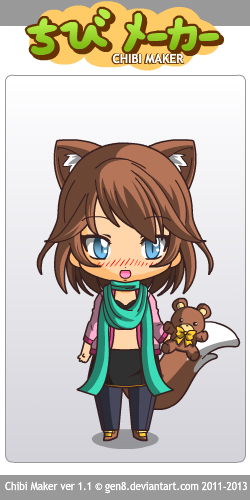 Looking girly as usual. 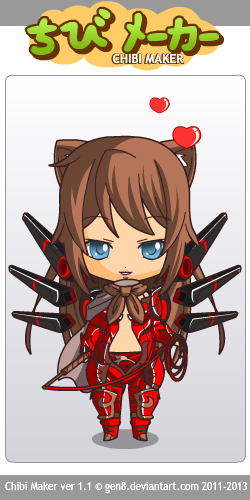 Vivian, except with arms. 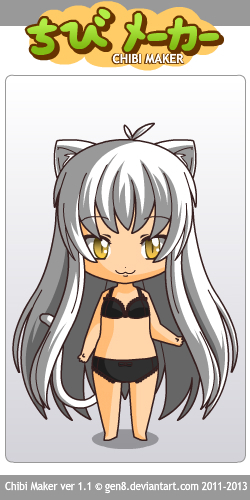 Pretend like they aren't there. 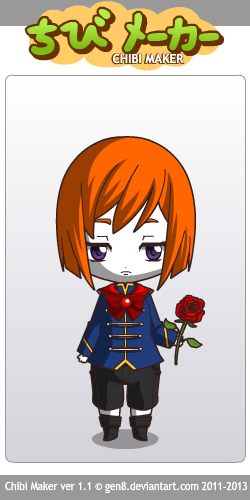 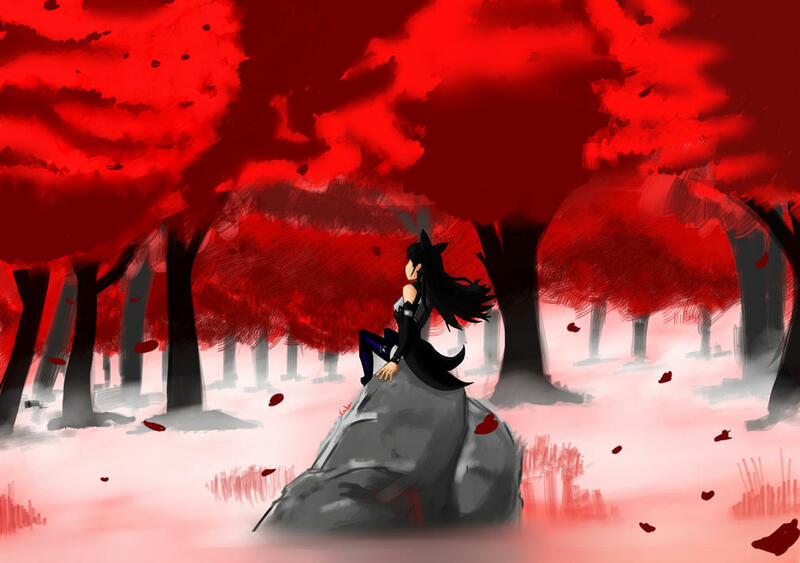 Rose. 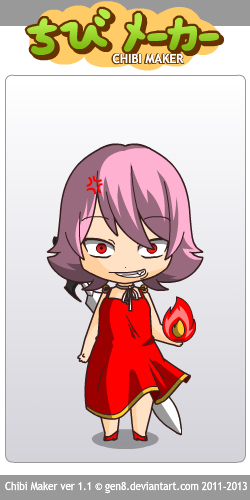 Bullseye Totally not a bullseye symbol not included. 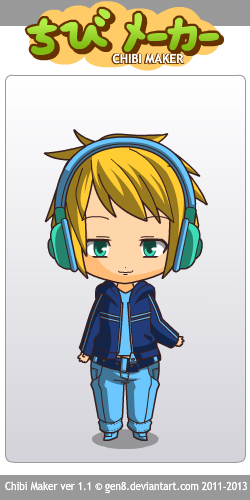 (I love how Sonny's staring at Spencer like "What are you doing now?" 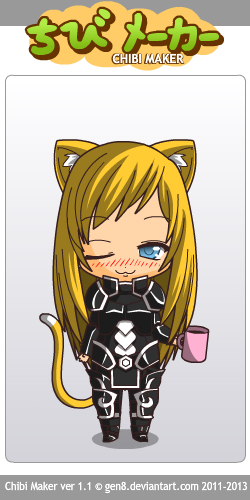 These came out surprisingly good!